VR Pricing. Sellers are considering offers between $270,000 and $299,900. NO MONEY DOWN! 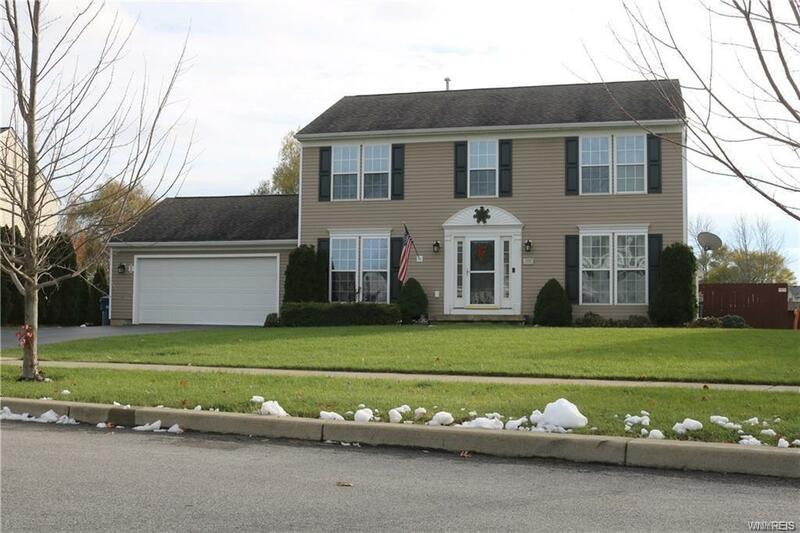 Four bedroom, two full and one half bath colonial in fantastic Grand Island neighborhood offers 1st floor office/den, formal living room, large kitchen with island, dining/breakfast room with wall of windows and french doors overlooking concrete patio with Kohler awning. Spacious family room with gas fireplace. Master suite with walk in closet and private full bath with dual sinks. Full dry basement. 2.5 car attached garage with man door leading to fully fenced back yard with shed. Central air conditioning. HWT 2016. New sump pump 2018 and furnace motor blower 2019. Private financing available. Full one year home warranty included!